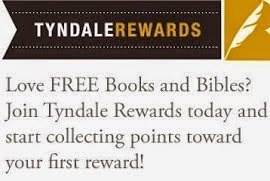 The Traveling Sisterhood's Book Shelf: My First Hands-On Bible: Experience the Fun! Live the Truth! My First Hands-On Bible: Experience the Fun! Live the Truth! I was so excited to receive this new Hands-On Bible for preschoolers! Since my children were 2-years old, I've been using a Hands-On Bible Curriculum as part of our homeschool program. I love it because it sounds like just what it is--totally hands-on! Who doesn't love hands-on stuff? It's so much more fun, and so much more real when you're learning by doing whether you're 3 or 33. My First Hands-On Bible didn't disappoint me. Last night, I used it while teaching twenty 3 and 4 year olds during church bible class. They paid attention to the short story we read called "Samuel Hears God." This bible uses the new living translation and also has a lot of fun hands-on kinds of things to do right in the middle of each story. For example, every time I read about Samuel sleeping, the children were supposed to put their heads on their hands as if they were sleeping. My students got really into it and even started snoring. At the end of each little story is a simple prayer and a message that ties Jesus into the story, whether it's in the Old Testament of the New. This is the awesomest bible I've found for young children! It's marketed for preschoolers but my 7 year olds also get a lot out of it. 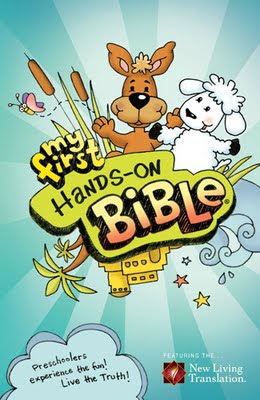 You can download your own samples of Hands-On Bible Curriculum here and read about it at the creator's site Group.com. Sunday Schools and home schooling parents all over the country use it.... and with this new bible, I'm thinking many more parents are going to discover how awesome Hands-On Bibles are! This book was provided to me for free from Tyndale House in exchange for a thoughtful and honest review. More Historical Fiction from Francine Rivers!